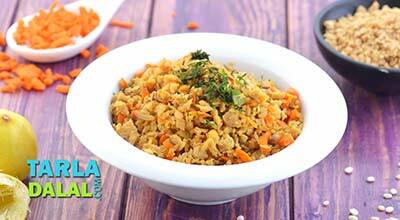 Ready in a jiffy, Jowar Upma is a healthy snack you can whip up for breakfast, supper, or just any time of the day. 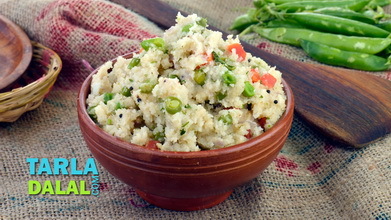 A much healthier alternative to the traditional rava based upma, the Jowar Upma is made by replacing a large quantity of the refined semolina with fibre and iron rich jowar and green peas. 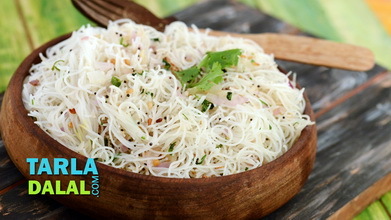 Of course, a small portion of rava is used to improve the consistency. 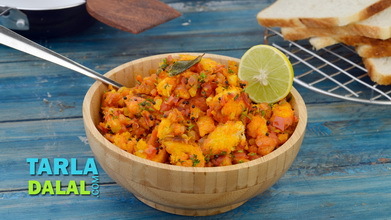 You can also add vegetables like carrots and tomatoes to add to the taste, crunch and nutrient quotient. 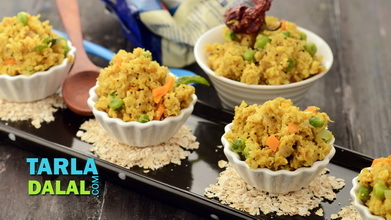 Like with most millet-based foods, it is essential to serve the Jowar Upma immediately. 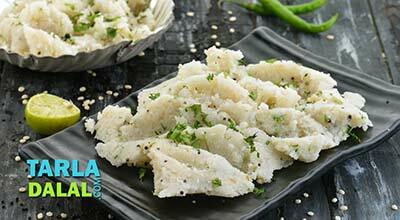 Heat the oil in a deep non-stick pan, add the mustard seeds and urad dal. 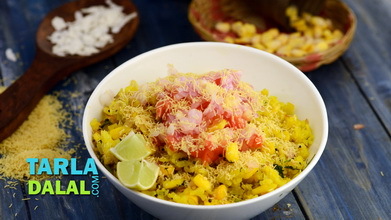 When the mustard seeds crackle, add the asafoetida and curry leaves and sauté on a medium flame for a few seconds. Add the semolina and sauté on a medium flame for another 2 minutes. 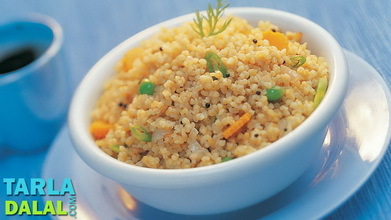 Add the jowar flour and sauté on a medium flame for 2 more minutes. 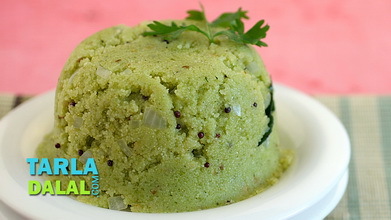 Add the green peas, green chilli paste, coriander and salt and mix well. Add 3 cups of hot water, mix well and cook on a medium flame for 2 to 3 minutes, while stirring continuously.